I’ve written this letter to tell you all that Mother Monster Manifesto has released her video for her Born This Way track “Yoü and I.” I never expected it to be grotesque since the song itself is quite romantic. But despite my misconception, I still found the video entertaining. The setting was somewhere in Nebraska, with cornfields and a barn. I was also excited to see her outfits but as I watched the video, I thought all of them were familiar. So I tried going through the Lady Gaga Chronicles anywhere in the web and found out I was right. The clothes and the looks were the same and so close to her previous appearances in her earlier music videos, photo-shoots, and concerts. So no claiming that she was copying other artists’ dresses, just herself. She also presented her other alter egos in this MV. There was Jo Calderone sitting on the piano, Yuyi the Mermaid, and I don’t know about the others. She was also a female Frankenstein, a bionic, and a bride in the video. There were also sexual references on it. 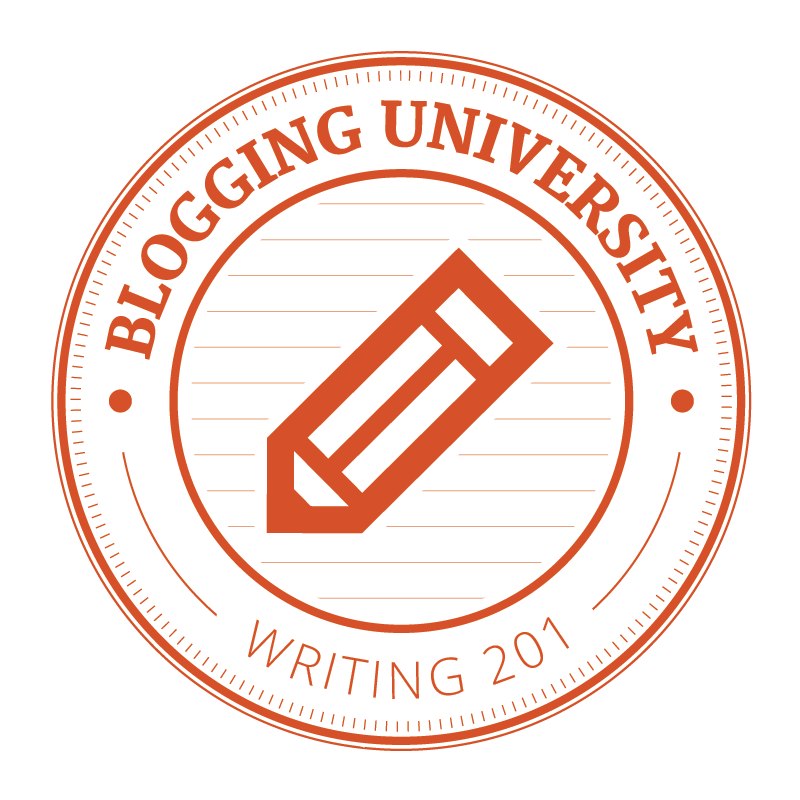 I think my letter ends until here. You can just see the “Yoü and I” music video for yourselves and let me know what you think. P.S. The cool Nebraska guy is Taylor Kinney whom you might remember as the scorching hot werewolf, Mason Lockwood, from Vampire Diaries Season 2. Too bad they killed his character. 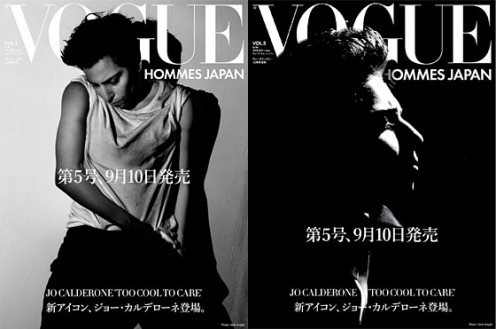 Once upon a time (August 2010 to be precise), Vogue Hommes Japan featured a boy with Italian descent. His name was Jo Calderone from Palermo, Sicily. He claimed that he had been working as a mechanic in his dad’s shop since he was a kid and Vogue was his first photo shoot ever. A simple guy who is a first timer in modeling rarely ends up in an international magazine cover so easily. But as it turned out, Jo Calderone is a no average Joe. He turns out to be Lady Gaga—a SUPERSTAR. 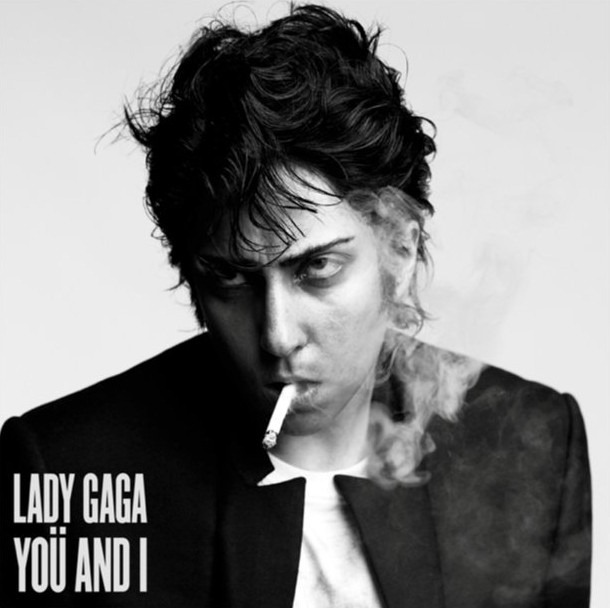 Again this August, Lady Gaga wore her Jo Calderone persona for her cover art in her Born this Way single You and I. 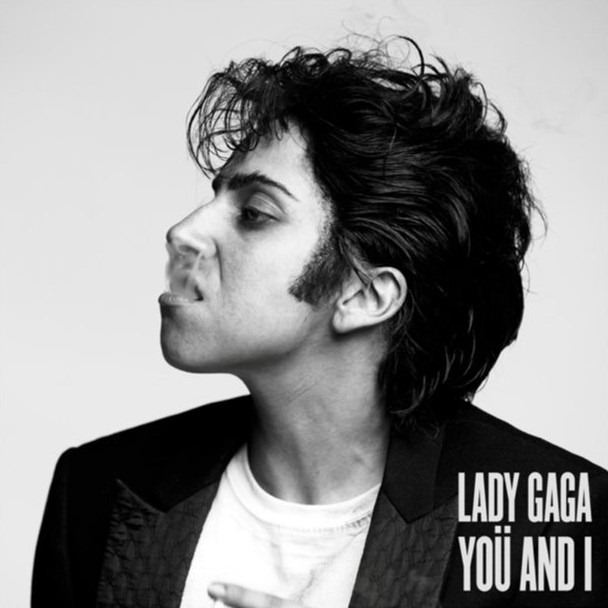 With cigarette staged in her mouth and androgynous looks, Lady Gaga was photographed by Inez Van Lamsweerde & Vinoodh Matadin. She was styled by Nicola Formichetti in Dior Homme with hair by Frederic Aspiras, makeup by Val Garland and art direction by Stephen Gan. Eek! Lady Gaga is covered with very thick and disgusting vernix caseosa! Born This Way is now out worldwide! Lady Gaga released another single from her ‘Born This Way’ album called ‘Hair.’ The single is a fist-pumping disco-themed track with a feel-good and self-celebratory vibe. And just like her ‘Edge of Glory’ track, there is also sax blowing by Clarence Clemons. ‘Born This Way’ will be out on May 23rd. Check the countdown timer on her website. Let’s hear her say a story about her hair. ‘Hair’ is already out on iTunes. Lady Gaga ‘The Edge of Glory’ Now Out In Glory! I’m on the edge of something final we call life..
Lady Gaga released her 3rd single from her now provocative album “Born This Way” which is bound to be released on May 23. This time, her new single is less likely to make some conventional Catholics squirm. The lyrics is less ambiguous this time and no mentioning of religious icons. We just don’t know if it’s going to be the same for it’s future music video. According to Lady Gaga, the song is about “your last moment on earth, the moment of truth. Download the single now from iTunes. 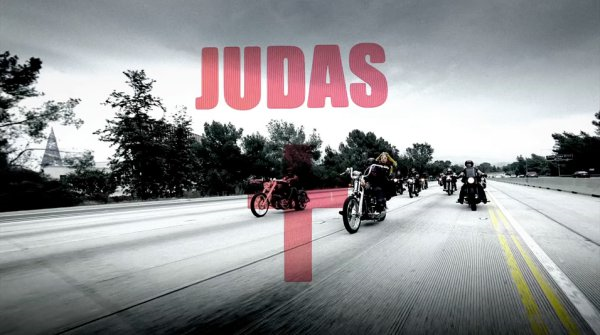 May 5 is the original date of release of Lady Gaga’s "Judas" but 8 hours before it. The video, now officially posted on Gaga’s YouTube page, has so far had more than 1.7 million views. The video flamed up another religious controversy as Lady Gaga portrayed Mary Magdalene riding in a motorcycle with Jesus Christ and the apostles. "It’s difficult to see why some people would have a problem with the video," MTV US stated. "Sure, Jesus looks different, and Gaga is playing Magdalene (certainly one of the most controversial figures in the Bible), but its imagery isn’t nearly as sacred/profane as that of the ‘Alejandro’ clip." Though self-confessed as a Catholic, Lady Gaga’s fans and anti-fans are confused where she stands spiritually. Because of her ‘fascination’ of Christian icons and ambiguous videos and song lyrics , she’s been called names like satanic or an illuminati. But nevertheless, it’s an effective way to get more media attention and Grammy’s nominations. Now, since the video we’ve been waiting for is already out, check the ugly/pretty dance routine, scanty outfits, and creepily enthusiastic back-up dancers," describing it as "fairly tame."